Over the last few years, Brynn Stanley has been charming audiences on both coasts, from New Jersey to Los Angeles, honing her smooth, silky voice in preparation for this moment: the release of her brand new “Classic” EP. The disc presents a beautiful interpretation of some of Brynn’s favorite American standards, wrapping her voice in a classic setting including a swinging rhythm section, a full big band horn section and a lush orchestra. Audiences and critics have raved about her voice, a unique blend of classic vocalists like Ella Fitzgerald and Peggy Lee with modern stars like Norah Jones and Diana Krall. Her style has been described as “warm, classic, timeless, inspiring and sincere”. "Young jazz singers come and go. This one, with her sultry voice and her instinctive understanding that less is often more, very much deserves to stay." 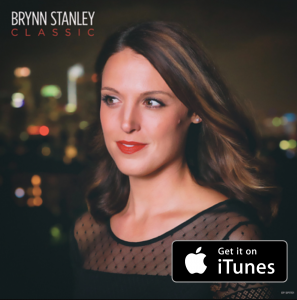 “Brynn Stanley’s new album “Classic” is a treat from start to finish. 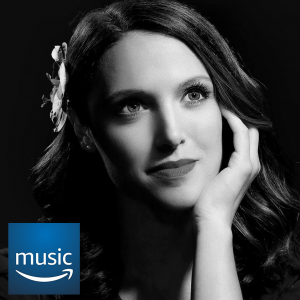 The arrangements, the song selection, the musicianship, and above all – Brynn’s singing is top-notch and an enjoyable listen. When we add vocalists to our library at WUCF-FM, they have to stand up next to Ella, Sarah, Carmen and Billie – and we feel that Brynn Stanley was of the quality to add to our group of jazz vocalists at 89.9. Bravo on a great recording!" "This is a great selection of songs given wonderful performances by Brynn. I can only complain about the fact that there aren’t more tracks on it!"